Yes, considering modern games are typically over simplified, super accessible, and completely linear with minimal challenge, I'll take 90s games like Thief/Deus Ex/System Shock any day of the week. Modern doesn't necessarily equate to good. 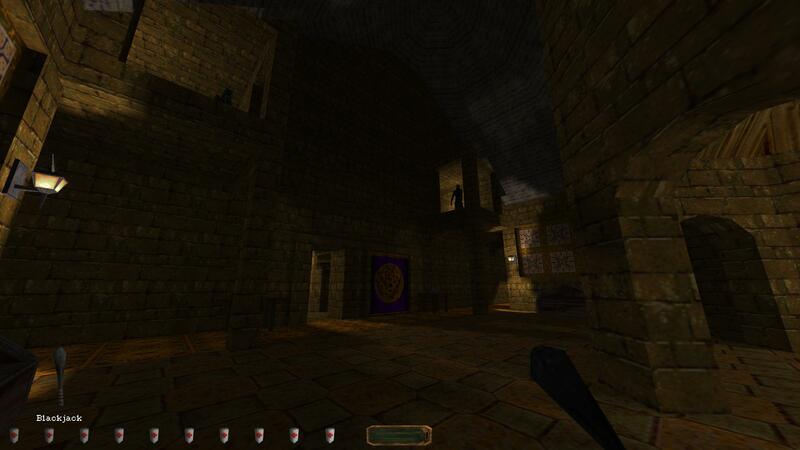 I have to assume that Judith prefers Thief 2014 over any of the original Thief games from the ancient, late 90s. So take anything said with a huge grain of salt. Judith, though I understand some of your problems, I really can't agree with them. I think you shouldn't give up this easily on missions. A not-very-simple-and/or-linear fan mission can make you lost in the first 5-15 minutes (unless a clear map is given) when you don't have yet an idea. It can be frustrating, but it's like a puzzle (a real one), at first it's a mess, but as you put the pieces together, it will be clear quickly. About the difficulty - I'd say, some were more difficult than the original game, but still, most of the missions were quite straightforward and finely doable (talking about the obligatory objectives) without much help. I don't think the number of posts in a thread would determine, how good the mission is. Lots if these questions are either about missed loot, secrets and whatever, or if the questioner overlooked something (or the fact, that the same question was already answered a few posts ago) -- we're human beings and especially if we are playing after a long day tired and everything, it's easy to make a "mistake" like this. And getting stuck on a clever puzzle on the first try is making the puzzle most worthwhile and rewarding of you find yourself the solution. It only gets frustrating, if the player'd require an IQ of 300 or mind-reading as a skill to solve it... but none of the important puzzles needed any extraordinary skills to complete. While everyone has different tastes, I'm unsure about your expectations if you found Downtowne Funk huge and boring (it was neither in my opinion) but in the same time some others too difficult. Still I don't understand what would you want from the authors. 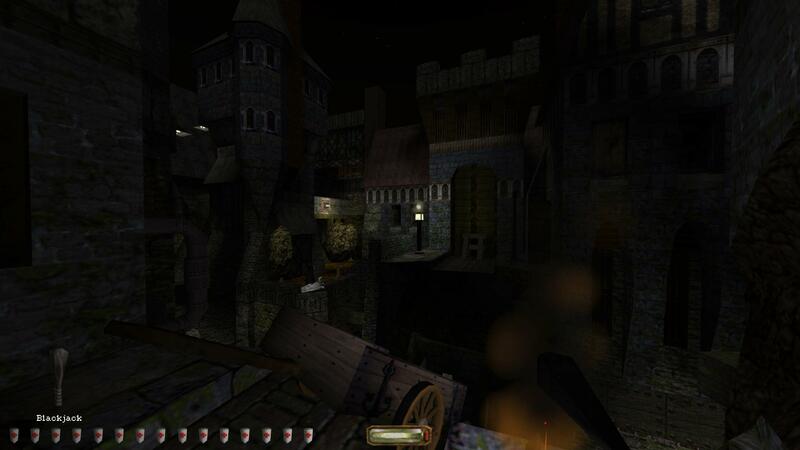 Because I can say that many of the contest missions were original and unique, some had a similar experience as OM's, some had brand new things which kind of suprised me "This could be done in Thief Gold? Wow!" But still, this game is 20 years old. The fan missions are missions, thus extra content for the game. The game itself is still the same (yes, we got NewDark but it mostly didn't changed the game itself that much). Even with custom stuffs you couldn't really add more 21st century-compatible content/mechanics/etc., since you are adding new contents to the game, not changing the game itself. So options are somewhat limited, unless you'd want the authors to create a brand new game, but that would just kill the point of these contest and would not be Thief 1/Thief 2 anyways. Last edited by Taylor; 8th Feb 2019 at 17:19. When I speak to the quality of TDP20AC submissions competing with or exceeding that of the OMs, I am heavily weighting that opinion in terms of architecture and interior design. Claims about gameplay changes or deviations are wholly subjective; I personally adore the heightened emphasis on verticality offered by more recent FMs, but this does not at all mean they are better designed. In addition, I am not claiming that, were the original developers to make missions today with twenty years of hindsight and design cues to work with, they would not produce equally good or superior levels. Perhaps I shouldn't value these things, but these are the criteria I was speaking about when I favourably compared FMs to OMs, and I take issue with the idea that it is categorically impossible for anyone on this forum to produce a higher quality level than the original developers did. Last edited by DirkBogan; 8th Feb 2019 at 17:47. I think it is easy to forget how simplified OMs were, after long 20 years. Nice examples and explanations, Dirk, but Judith will likely point out that he's talking about elements outside of architecture and interior design. I don't like this 90s games vs modern games dichotomy. It trivializes and marginalizes both eras. There was some good and bad design back then and there is some good and bad design today. We have seen improvements in understanding and defining the difference between good and bad design, but we have also seen new bad habits infuse modern games. There are ways design could be improved in this community, but most of it has a little to do with whether or not a Thief FM adheres to modern design principles or 90s design principles. As Yandros and Random Taffer agreed earlier in the thread, it would be nice to critically discuss how Thief FM design could be improved, but as I said, that rarely seems to work out in this forum. It always seems to devolve into people sniping at each other. Authors really have to go to other places if they want strong constructive criticism of their work. Just in the last few posts, you can already see that happening here (and I include myself in this). You've got Judith wielding simple-minded, petty, dismissive arguments as if his oh-so-sophisticated criticism required sophisticated rebuttal. But then you've got people defensively responding to him by outright dismissing modern game design or seeming to dismiss how anything could be gleaned from all the game design discourse of the last two decades. Oh well. I still think the 20th Anniversary Contest produced some fantastic design for any era. I can see how for outsiders, the difficulty might be too steep and the visual language -- how the author communicates what to do or where to go next and how, what are all the player's options right now, etc. -- might be too vague. There are also some fundamental quirks with AI and collision-detection that might deter outsiders not accustomed to them, and I think authors could do better in designing around those quirks. But for its audience -- that is, the experienced Thief FM players who will be the ones to really download, play and discuss the missions in this contest -- several of these missions play nearly as well as some missions in the modern, critically-acclaimed games made by Arkane. Judith would not agree, of course, but I'd bet that some of the designers at Arkane would agree. Another thing to take into account is that a vast majority of FM makers here have no desire to pursue a career in level design whatsoever. With this in mind, it is quite normal for them to either ignore industry trends or try new things that don't necessarily fit into the original Thief design principles. Judith is correct that there's a number of FMs that either ignore basic principles, willfully or not, or subvert them, but again most people here are hobbyists and it's unfair to expect them to apply advanced level design techniques or put them on the same level as the MIT geniuses of LGS, especially considering they themselves don't consider themselves better than LGS designers. 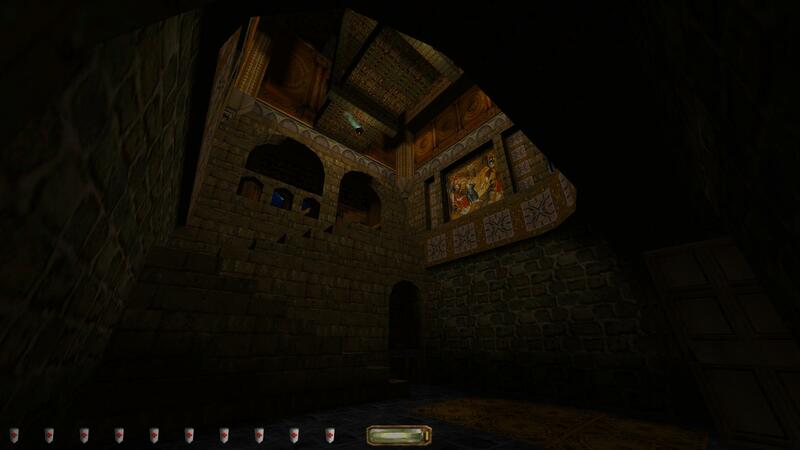 I said it before, but Thief is a very complicated game to map for. There are tons of things to take into account and the editor itself is from another era. It's not your run of the mill FPS where the same layout can work in another game. What works for Thief works only for Thief most of the time. That being said, for mere hobbyists, some of them are incredibly good and showed it quite brilliantly in the contest. And yes, there are defininitely a few FMs out there that are on par, if not better, than OMs. Heist Society, Hidden Agenda, Heart of Bohn, Disorientation or Conspiracies in the Dark to name a few. I will readily admit Rose Garden, my contest mission, is on the hard and obscure side. Some of that is due to lack of testing with beginners (I barely completed it by the deadline, and only had a short 2-week beta period), but most of it is by deliberate, conscious design. If I were to revise it, I would do 90% of it the exact same - and I put a lot of thought into it (many of my ideas therein date back to 2010). I accept it is not for everyone. It is for myself and like-minded people who appreciate mysteries, unresolved plotlines, being a bit out of depth, and a whole lot of exploration. That is where my mind is these days. 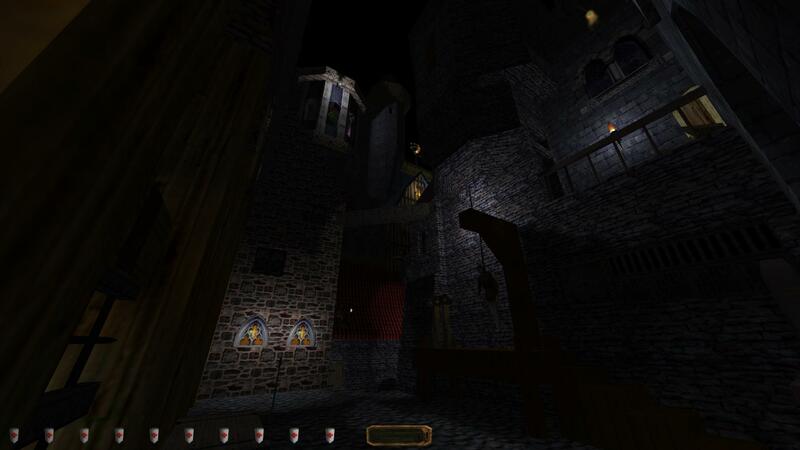 Yup, I didn't mean the architectural complexity only, that's kind of obvious that it scaled both with the engine and with additional features of NewDark, which was inaccessible to devs at the time. I meant the quality of design. There is no dichotomy between crude 90s design and modern times, it's just by sticking to that era and making something in 2019 you're wasting an opportunity to either say something new with the good old technology / aesthetics (like today's retro indie games do), or communicating what's great about the old game to the broader audience. I agree that's unfair to demand pro level from hobbyists, and, believe it or not, I do praise the FMs which in my opinion "did the homework" in design department (last one I accidentally came across was Precarious Business, IIRC). I just disagree with the overall level of high praise towards almost anything that gets released as "surpassing the OMs", because that is still a rare / hard thing to do (as mapping for stealth singleplayer games generally is). Modern games do get a lot of things right, contrary to general opinion here, and they're not just about QTEs. They value player's time better, they use all the means used in painting, photography, and architecture to guide the player's eye towards important things. It's not only modern stealth games like Dishonored, but also titles that mix that oldschool difficulty with communication with the player, like the Dark Souls series. That's accurate, even though old school design still did this quite a lot. You also have to admit your two examples are unusual games when it comes to "modern" design. The Souls series in particular was a breath of fresh air with the kind of level design that just wasn't seen anymore for a good ten years or so. Going a bit off topic, are we? Regarding stock-derived vs custom resources discussion here, I have a question to future organizers. Assume I participate in the contest. I release mission A which goes to the contest with stock-derived resources only. 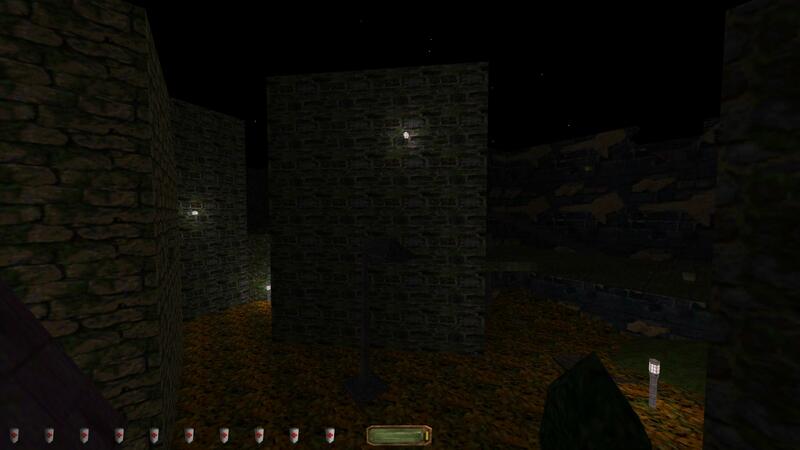 In the same time I release another mission B, which is exactly the same mission but has custom resources. Would that be allowed by organizing team? Someone might say it is twice work for me, but actually it is not. I have an idea how I can do that very easily. This idea comes to my mind when I think how to satisfy most of the players (or all players, if we have only these two groups from the poll). I realized the question asked in the poll is actually "which resource pack would you choose?" question, so I say "let's solve it with resource packs". Of course some ppl will say the high-quality version of the mission wont be the same mission and you can not vote based on the high-quality release. Let's put into contest rules that we wont vote based on the high-quality release. What do you guys think about it? I've voted for the Stock Resources as after playing all the the T1 Contest mission's with just the stock resources, I was really impressed! So, if you like Thief (2014), you aren't a true Thief fan? Everybody can like Thief (2014), but that doesn't quit the fact that it was a failure of epic proportions. Everybody can live Thief (2014), but that doesn't quit the fact that it was a failure of epic proportions. Well... it was an official product. It gained some popularity in the media. It gained some reviews (yes, a lot of them were negative). I wouldn't call that a failure of epic proportions. 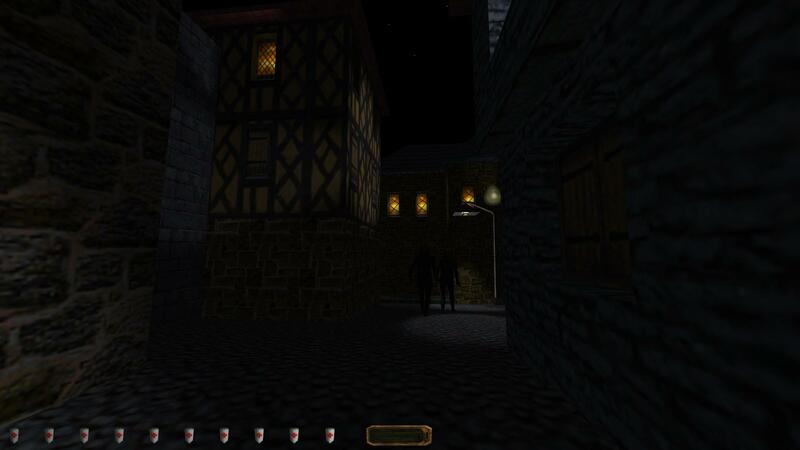 What about an event dedicated to the 20th anniversary of Thief, with a huge potential to reignite the interest in the game, but that potential was short-lived? That's another thing. There are reasons why this happened. But why should you care about what I say? I have adapted to modern trends. If you fail to see the importance of instant gratification in gaming, that's not my problem. You appear to have serious issues with reading comprehension. Please try again! Yeah 20+ missions and new authors= short lived potential. Thief (2014) is objectively a bad game, and it has nothing to do with modern game design. 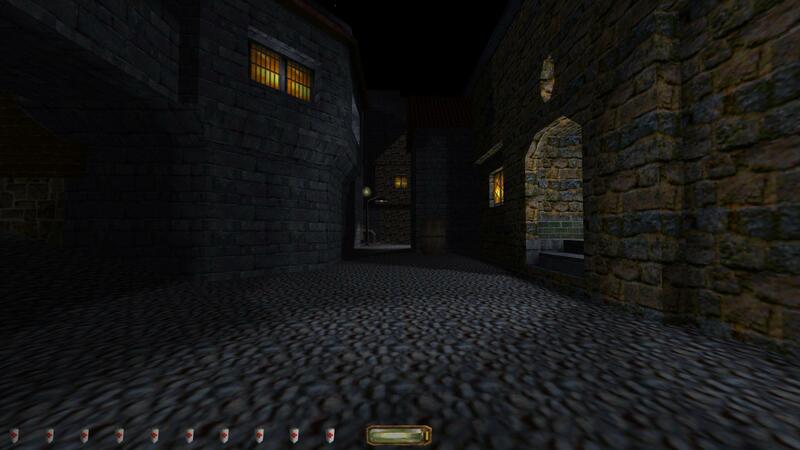 Thief (2014) was great in some aspects, like graphics, level design and architecture. It felt short on storytelling, and its unforgivable sin was that it trashed the established lore (Hammerites, Pagans). It was a decent game. What about an event dedicated to the 20th anniversary of Thief, with a huge potential to reignite the interest in the game, but that potential was short-lived? That's another thing. Seriously BT, you've moved on from just being illiterate to being completely nonsensical. Please tell us why you think the last contest didn't live up to it's potential. Although, maybe if you would have covered the event more thoroughly in Bulgaria, this wouldn't have happened. You are right. I could have done it, but after that harassment on Twitter, I don't think I'll ever will. But this is off-topic. Now, to answer your question. Living in the past doesn't help. Don't get me wrong - I know that Thief is an old game. People love it and create missions for an old game. I get it. Don't get me wrong. There's nothing wrong with that. Classical poetry is cool. People still write classical poetry, but art in general has moved beyond that. We're living in the 21st century. The same applies to gaming. Seriously, people... We're having a discussion about using stock or custom resources? We're not talking about changing mechanics or gameplay. We're not trying to reinvent the wheel. We're having a poll about whether the next contest should use stock resources or authors should feel free to use custom ones... And what does the person who organizes the contest say? Good luck living in the bubble. Perhaps if the 20th Anniversary Contest was intended to usher in a new era of popularity for TDP among the mainstream of gaming, one might consider its impact a failure. Considering that the original game had only sold 500,000 copies by May 2000 (LGS biggest commercial success!) and has almost certainly sold less than that many again over the past twenty years, I can't imagine anybody on this forum expected or intended for it to suddenly become a massive staple in the zeitgeist. The game was niche when it was new, for goodness sake. What percentage of people who play video games go back and play twenty year old games they've never played before, irrespective of how good they are or how active the community around them is? Call me stupid if you want, I don't care. 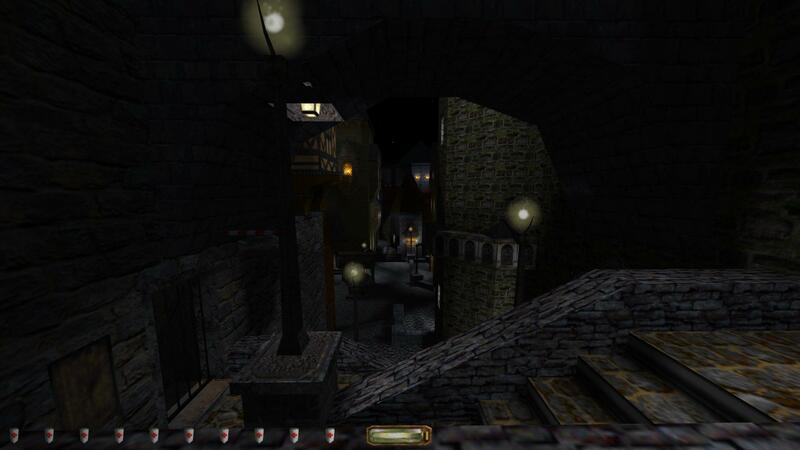 I think that the Thief gameplay and setting is a gem that awaits to be discovered by the general audience. Yes, it's a niche game. But to think that it's impossible to become mainstream, I don't believe that. Perhaps the reason is lack of trying. B_T, you're just butthurt about skacky blocking you on twitter or something... His comment in this thread was in response to someone saying "the poll doesn't go my way so it's an absurd one" in essence. It was probably a tactless thing to say on both ends, but now you're trying to come back at him one way or another and it has nothing to do with the discussion it ensued. The thread derailed a bit but it sparked an interesting discussion. I agree we should discuss in another thread about how to improve our FM designs, a collective effort to try to minimize common design flaws in FMs and maybe take inspiration in good modern game design.